Search & find all manufacturers and suppliers of sensors and measurement systems in the Sens2B - Sensor to Business database. Learn & understand the applications & technologies for your current and future projects, thanks to thousands of technical articles, product descriptions, product news & application examples of sensors and measuring devices in all major industry sectors. 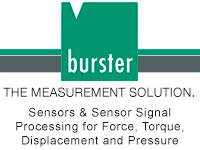 Sensors & measuring systems for angle, displacement, distance, inclination, limit, position, presence, proximity, etc. Sensors & measuring systems for force, acceleration, inertia, motion, shock, speed, strain, torque, vibration, weight, etc. Sensors & measuring systems for Air Quality / air pollution, Carbon dioxide, Hydrocarbon, Hydrogen, Methane, Oxygen, etc. Sensors & measuring systems for air pressure, dew point, heat flow, humidity, rain, smoke, temperature, wind, etc. Sensors & measuring systems for cameras, image sensors, code detection, object detection, identification, vision sensors, etc. Sensors & measuring systems for Acceleration, Gyros, Inertial Systems, Inclinometers, IMU, AHRS, INS, etc. Sensors & measuring systems for biomechanics, blood flow, blood pressure, body temperature, heart rate, etc. Sensors & measuring systems for colour, fluorescence, light, luminescence, luminosity, radiation, turbidity, UV, visible light, etc. Sensors & measuring systems for electrical current, eddy current, electrical field, magnetic field, cos Phi, voltage, etc. Sensors & measuring systems for noise, loudness, microphone, resonance, sound analysis, ultrasound, etc. Calibration, Data acquisition, Display & visualization, Signal amplification, conditioning, transmission, etc.